To be honest we've been diverted on other projects for a few months, but now we're back to working on the solar barn. The first module --a larger Greenfire office-- needs to be completed and operational by March 5, 2012, so it's crunch time. We did a little creative permitting for the electrical hook-up, and today we began digging the holes and building the wooden forms for the concrete piles that will support each of the four corners. I think we got a little carried away. You can see from this picture (note the protruding shovel handle) that the hole is about 2'x2'x4' deep. 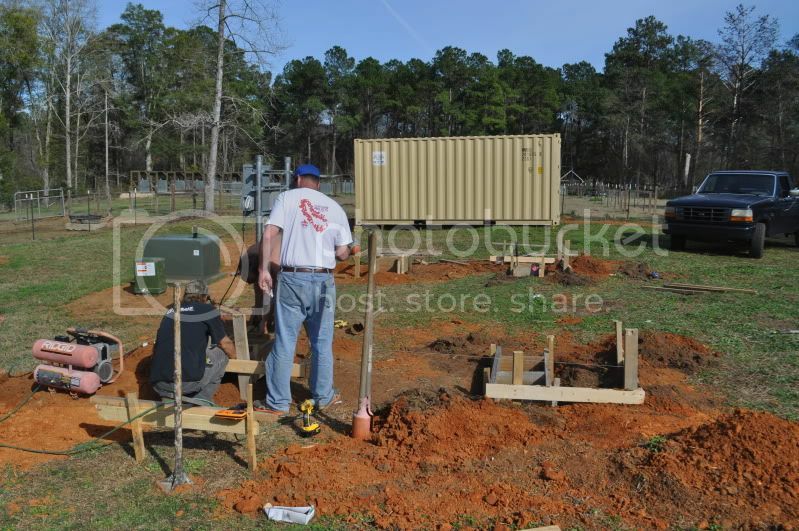 Ultimately these concrete piles will be capped with a metal plate, and the container will be welded to each plate. So, each corner will be anchored to a concrete pile weighing about 2,400 lbs., and the entire empty container itself weighs only 4,850 lbs. With this type of ballast it should barely tremble in a Cat 5 hurricane. 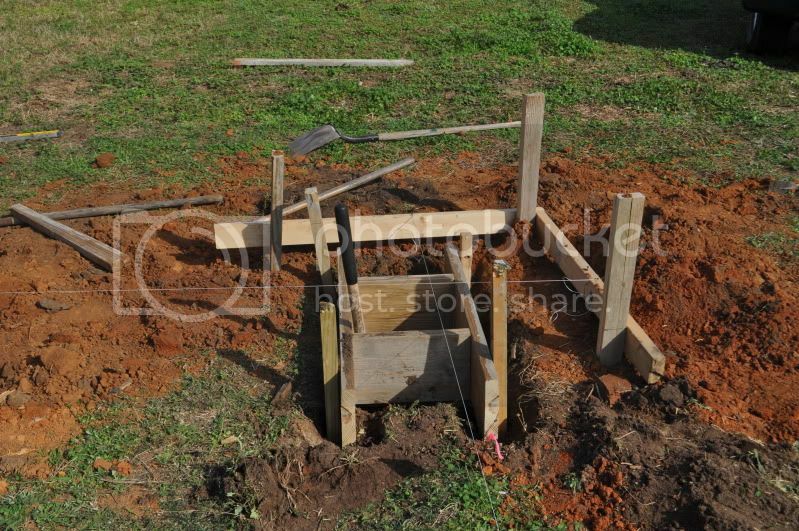 Here you can see the layout for our simple foundation.